Many business owners acknowledge the fact that a security system is a vital need for the success of every business enterprise. From small-scale businesses to multinational companies, the need for a secured business environment is paramount and urgent too. Companies need to secure their assets from intruders and theft hence, the need for security devices and video surveillance systems. One of the most effective ways of securing your business is by installing security cameras at strategic locations of your business building or office apartment. This cannot guarantee maximum security, but it might just be enough to dissuade a thief, an intruder or an unethical behavior in the workplace. Businesses face a much more complicated set of security challenges than ever before. Initially, the physical security of buildings once stood as the top concern, now companies of all sizes must manage a host of data security risks, ranging from viruses on the internet to the unethical behavior of employees without sacrificing customer service. Employee theft and fraud constitute a significant source of revenue and inventory loss to many businesses globally. As a result, many organizations are struggling to tackle their security challenges while ensuring customer satisfaction at the same time. Many business owners in Miami have found solace in the judicious use of modern security gadgets and monitoring systems. Although these devices do not ensure maximum protection, they help to a great extent when compared to their absence. 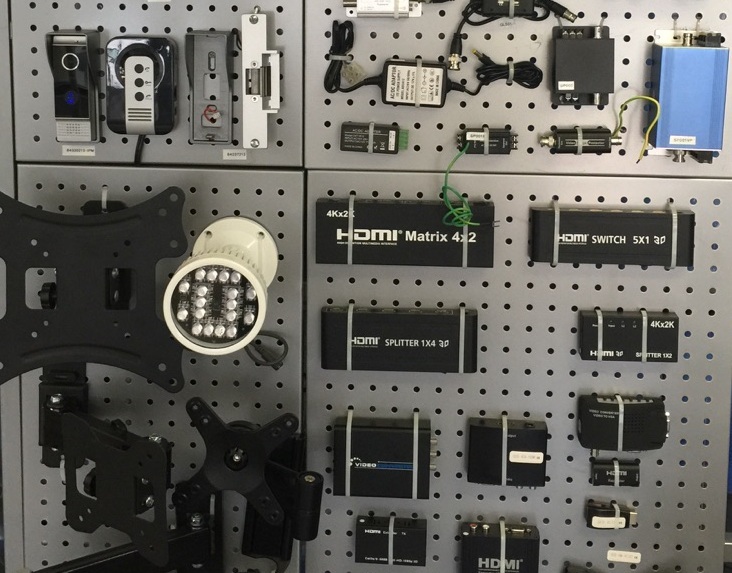 Crimes can now be combated more efficiently with sophisticated security cameras and alarm systems. Miami serves as one of the best tourist sites in the world, little wonder it is also a haven for all sorts of criminal and unethical practices due to the influx of millions of people into the city constantly. Security systems for business is therefore paramount to the success of every business in Miami. There are several security cameras available online for easy pick and buy options. Many of them are specifically designed to solve a particular security challenge according to your need. Most businesses prefer to hire the service of security experts to help them make a great choice. However, it’s vital to determine what your needs are for the security system and the security problem you are currently facing. Then, you should set a budget aside to cater for the purchase and installation cost if any. It’s essential to carry out these processes before a security device is purchased. In Miami, there are several powerful security cameras you can purchase for your business from top rated companies. And there are also many security products and services to select from depending on your budget and needs. 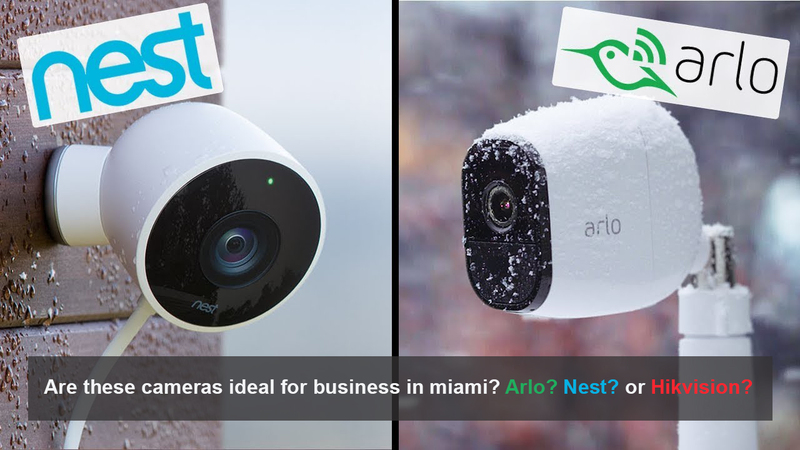 Security cameras from Arlo, Netgear, and Hikvision are in top demand from many businesses in Miami. For instance, the Hikvision Door intercom series allows you to monitor the happenings within your business premises while you can also enjoy unit-to-unit video calling between other rooms and office buildings. Netgear has a lot of powerful cameras too to help you stay protected and focus on other important aspects of managing your business.